Hawgs Wheels is a longboard wheel company based in Vancouver, BC, a destination for longboarders from around the world. 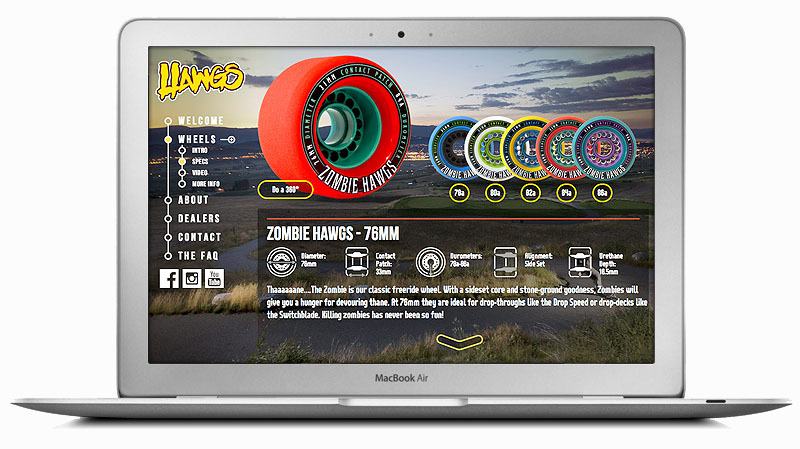 We created a website to help longboarders get a close up feeling of each wheel and choose the right wheel for them. There's a lot of images on this website but we've found a way to keep the website experience visual while keeping website loading times fast.